Finger Lakes Conveyors 4" Can/Jar flat top conveyor system for sale! Finger Lakes Conveyors 4" Can/Jar flat top conveyor system for sale! High PErformance Packaging has Finger Lakes Conveyors 4" Can/Jar flat top conveyors in stock! Call today! 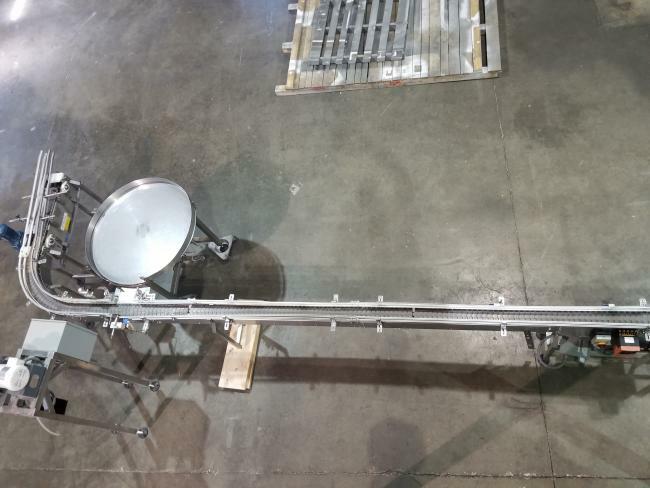 Finger Lakes Conveyors flat top Can/Jar line conveyor system with reject air and 42" turntable included for sale!